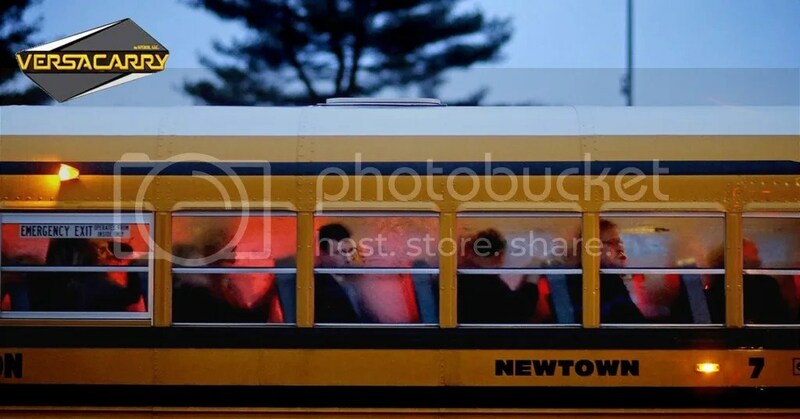 People arrive on a school bus at Newtown High School for a memorial vigil after the 2012 Sandy Hook shooting. The National Shooting Sports Foundation (NSSF), the gun industry’s Newtown, Connecticut-based national trade association and lobbying organization, has received a $2.4m federal grant to promote gun locks and firearm safety. It is an award the group says is its first under the administration of Barack Obama. For a group that became a regular object of protests following the 2012 Sandy Hook school shooting, in which 20 young children and six adults were killed, the grant is an indication it is beginning to come in from the cold. “I don’t know the politics of this, but it’s a start,” said Steve Sanetti, president and chief executive of the NSSF. The offices of the NSSF are only a few miles away from the school targeted by gunman Adam Lanza, who subsequently killed himself. In the months after the massacre, demonstrators used the site as a backdrop to demand tougher gun laws. The NSSF considered leaving town because of hostility from some critics and worries that its connection to the town might undermine its work promoting hunting and shooting sports. Elected officials who helped rally the effort for new gun laws after the shootings say they still differ with NSSF on the need for gun control, but they can get behind the foundation’s work on gun safety. US representative Elizabeth Esty, a Democrat whose district includes Newtown, congratulated the foundation on its grant and said firearm safety education and secure storage were vital in preventing gun violence. She said in a prepared statement that gun locks were one component of gun safety. “We need a comprehensive strategy that includes expanding criminal background checks for all commercial gun sales, dedicated federal law to combat gun trafficking and a strong commitment to mental health services,” Esty said. The grant was the result of a competitive process, according to the Department of Justice. It will support the NSSF’s work to distribute locks and cables that can be used with guns to prevent them from being loaded or fired. The debate over gun policy is typically between gun rights backers, who insist safety trumps restrictions on gun ownership, and gun control advocates who seek stricter rules such as waiting periods and background checks to screen out convicted criminals and those with a history of mental illness. Guns belonging to Nancy Lanza, the mother of the Sandy Hook gunman, were purchased legally and were accessible to him. Pat Llodra, Newtown’s first selectman, said she favored efforts to reduce gun use by those who should not have access. However, the Newtown Action Alliance and Coalition to Stop Gun Violence have begun a petition campaign asking the Justice Department to cancel the grant. It says the NSSF lobbies against “any and all reforms” that would protect children from unauthorized access to guns. While Sanetti said it was the first grant under the Obama administration, the industry group received about $89m between 2002 and 2008 in congressional earmarks.